Watching YG‘s 2013 survival program, WIN: Who Is Next?, last year was such a stressful experience. I spilled a record-breaking amount of tears for a group of trainees back then. The boys were abruptly separated into two teams and had to compete against the very people they had spent years training with. After what feels like forever, the victors have finally come out with their debut album that includes title tracks Empty and Color Ring as YG’s first male idol group since Big Bang in 2006! For many of us WINNER is kind of special. We watched them from the very moment that they were created during WIN, and some supported and loved them even before then! So it’s comforting and exciting to see this group finally walk into the spotlight after being together with them from the time they were the most vulnerable. I wasn’t quite sure what to expect with this group. The boys are all different so I was really looking forward to see what kind of group this would be and music they’d create. If it’d been a year ago, I would have automatically thought they’d be just another hip hop group, but after getting to know them more and seeing just how much YG gives his idols artistic liberties, I was keeping an open mind. As YG’s very much anticipated new boy group, fans flocked to their debut MV and within 24 hours of its release, Empty reached 1 million views. Empty is a mid-tempo hip hop/r&b song that has a mixture of both studio and acoustic feel. This song was composed with the help of Team B’s B.I which he helped write the lyrics to along with Bobby and WINNER’s rapper Song Mino. The lyrics are sad and fit the song extremely well, though ‘heartbroken man’ lyrics are probably not my favorite kind of lyrics for a debut song (doesn’t change my opinion of the song one bit, I love it). In their defense, even though this is their official debut, it feels more like a formal comeback. With its divergent lineup and constant swapping in-between verses, the group’s teamwork shines wonderfully and also exhibits how adaptable they are to each other.There are times when their voices overlap each other to where it sounds like for a brief moment two members will be singing a duet together. The music itself is very simple, yet unique. Even though the subject is supposed to be depressing with its lyrics and emotional vocals, the sound is very pleasant and relaxing. This song’s composition is really interesting, though. It’s like the vocals are creating the music and the tune of the song is just a filler. 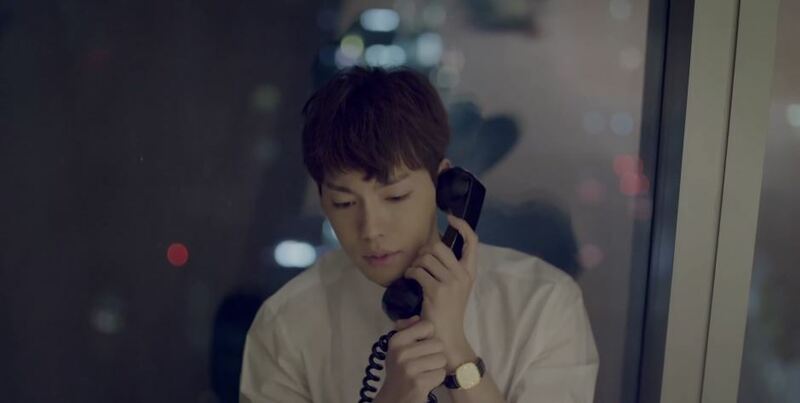 The MV for Empty is nice but it’s pretty simple. It doesn’t really follow a story line, it just visually portrays the boys having a hard time coping with their broken hearts in different locations. There’s not much to talk about when it comes to the story of the MV, there’s also no dancing involved but seriously I’m not complaining. Gives us a perfectly good excuse to admire the boys as they pose for their ‘melancholy’ concept. They do keep the YG ‘barely-open-my-lips-to-mouth-the-words’ trend that T.O.P started, which is kind of distracting. I think it has the opposite effect as to its original intended purpose. I also have to take this opportunity to mention the obvious but all the WINNER boys are freaking studs! I thought YG didn’t care about looks but every single one of them looks like they were incarnated from a manga as they model away, effortlessly, in their MV. Their second title track, Color Ring wasn’t as catchy to me the first time I heard it. Or better yet said, I wasn’t prepared for it. It’s an even more mellow ballad with a similar concept to the latter. I feel kind of bad for thinking it was such a ‘weak’ song because my opinion is the complete opposite after I listened to it a second time (and a third and forth time). In fact, it became my favorite song in the album! It does sound more like it belongs in a drama OST, but heck that’s all I listen to anyway. This song is right up my alley. Color Ring is a soft-rock song that starts off with a slow piano tune. It was composed by WINNER’s leader Kang Seung Yoon who contributed to the lyrics along with WINNER’s two rappers Mino and Lee Seung Hoon. It interchanges from the piano to an acoustic guitar which later progresses and slightly picks up for an emotional emphasis in the second half of the song. The lyrics to Color Ring are basically about someone that is wishing their lover will pick up their phone. In Korea, the term ‘color ring’ is used as a general term for the ringback tone also known as the ‘caller’ ring that the listener waits to while the other person picks up or before being sent to voice mail (if they didn’t pick up). This term is kind of like how we use ‘google’ to refer to engine searches, only in this case it’s like a play on words. Instead of ‘caller’ they’ll say ‘color’ as in to add ‘color’ to the ringback instead having to hear the default. I think their MV for Color Ring MIGHT have a story line in there. In this one, there’s still lots of modeling going on but the boys are all depicted in their own scenes with their phones, waiting for their girlfriend (ex?) to pick up (this is a plot, right?). Since she’s not picking up at the end of their scene, their face is always like ‘awww man’. 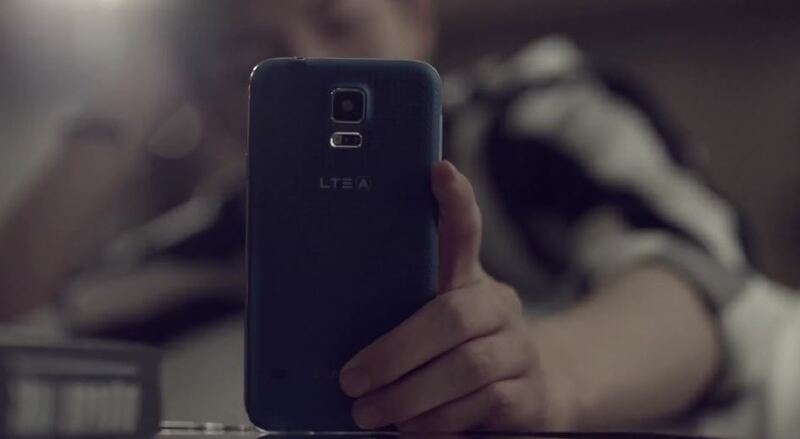 Not sure if they were promoting Samsung or something, but Hoonie proudly flashes his LTE at the camera. Kind of makes you wonder if maybe, just MAYBE Akdong Musician‘s Galaxy ban wasn’t just a silly excuse. 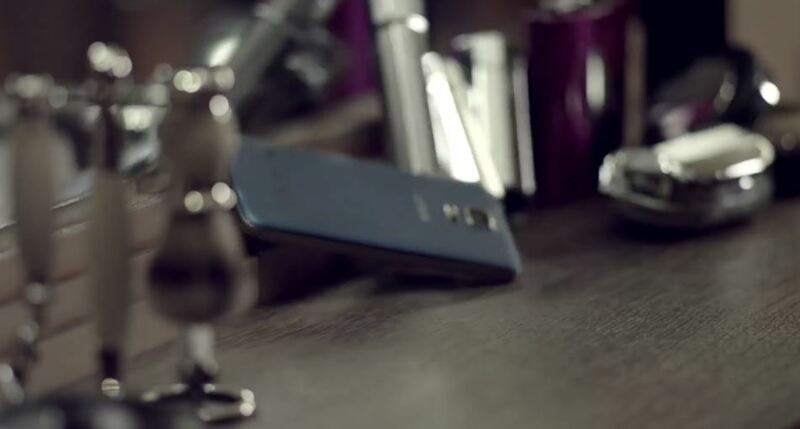 My theory is later enforced as we have Mino chunking his cellphone in his frustration *CRINGE*. Admirably, the phone seems to be indestructible though we don’t get a shot of the screen, which I’m dying to take a look at to see if it’s cracked. Then we have a scene where Seung Hoon is moping in his couch, looking hot and irresistible when all of a sudden he is engulfed in water…..but he’s still holding his cellphone!!!!! Is it waterproof too? I need me one of those. It’s around this time when the boys begin to break down, never straying from their cellphones. The only one that seems to keep it classy is Jinwoo. I mean, he doesn’t go balistic like the rest AND he’s using a LAN line. Just gotta ask, but are those even still used besides for businesses? 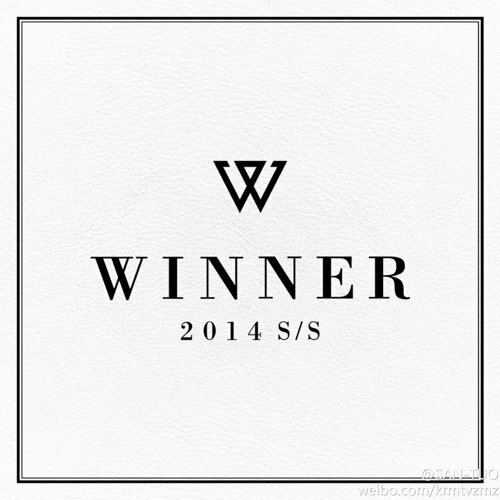 WINNER’s debut album WINNER 2014 S/S is pretty good. It has some great songs and although they cover a few different styles, they all flow really well together. I think the reason is because even if they don’t all sound the same (and who would even want that? How boring), they all seem to have a relaxing steadiness to it. I really love their style, they put utmost importance on the vocals and although the composition of the music is important, they don’t let it overpower them. My favorite song in their album is Color Ring, but they have some other amazing songs like Different which is a close second, I’m Him (Mino’s solo), Empty (great song), and Love Is A Lie. The album is composed of 10 songs which also includes their song from the WIN competition Smile Again. Unfortunately, I do think the album version of Smile Again doesn’t do the song any justice. 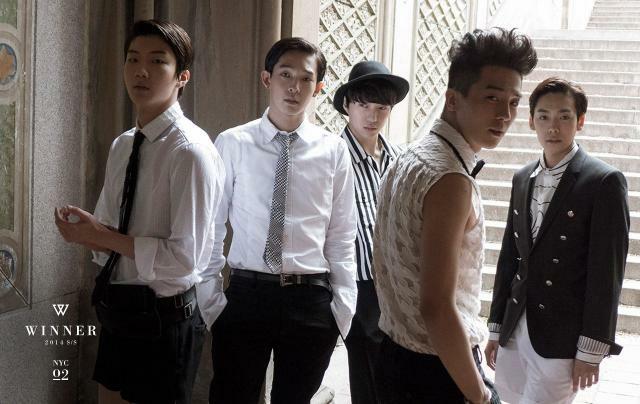 This song was composed and performed during WINNER’s most desperate time as Team A. The live performance is much better and it’s always nice to go back and reminisce on those times when they really did seem like inexperienced rookies. *SNIFF* *SNIFF* They grow up so fast.